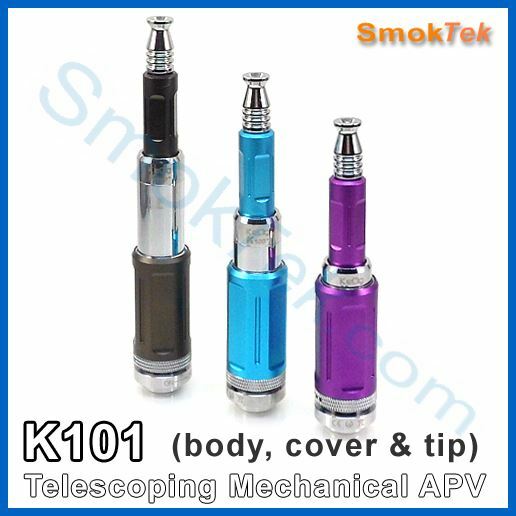 The K101 by Kamry has a stylish anodized aluminum and chrome bottom button design. 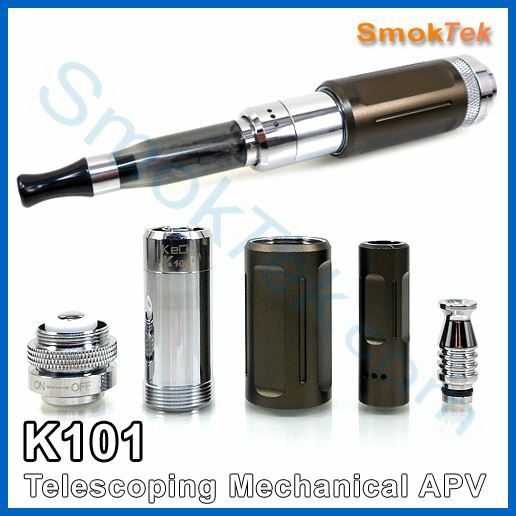 The K101 Telescoping Mechanical APV accepts 18350, 18500 and 18650 protected and IMR batteries - because it telescopes, your battery will always fit snug in the K101, and make contact without any rattle! Choose the Make It a Kit option to get batteries and charger at a discounted price! PLEASE NOTE: This device does not come with a user manual. 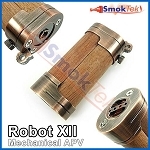 It is intended only for advanced users, who are familiar with mechanical mods, battery safety and Ohm's Law. Never use non-rechargeable batteries in mechanical mods, or any vaping device - it is for your safety. 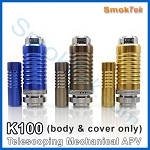 This unit does not come with a tank, but it is compatible with any 510-threaded atomizer. The Aspire Atlantis, and both the Nautilus and Nautilus Mini will work great with it. 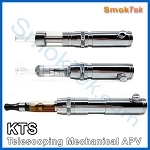 The Kanger Subtank, Subtank Mini, and the Protanks and Aerotanks will also work great.